CATCH OF THE DAY: Ever get the feeling that someplace looks familiar? And yes, Mike Ross, we know this happens to you all the time. 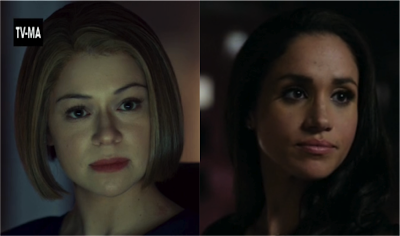 But, if you forgot your eidetic memory at home and you're a fan of BBC America’s Orphan Black as well as USA’s Suits, it might come as a surprise that Rachel Duncan, the ice queen of the clones, and Harvey Specter, New York City’s best (dressed) closer, share the same lobby! 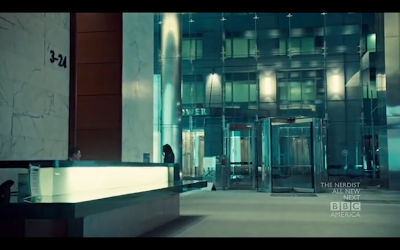 It's no wonder Harvey wanted his name on the door. BONUS: Battle of the Rachels. Duncan or Zane? Who's your favorite? 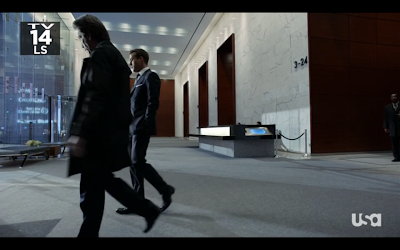 And if these two were stuck in an elevator, who would be the first to slip out of her four-inch designer heels? All we know is that there isn't much we wouldn't give to see the two of them eat a shrimp, red pepper, and goat cheese pizza together.